Alex Lee is a man of many talents. Not only is he our opportunity seeker extraordinaire (we’ll explain what we mean below), he is also a keen basketballer and a bit of a foodie. 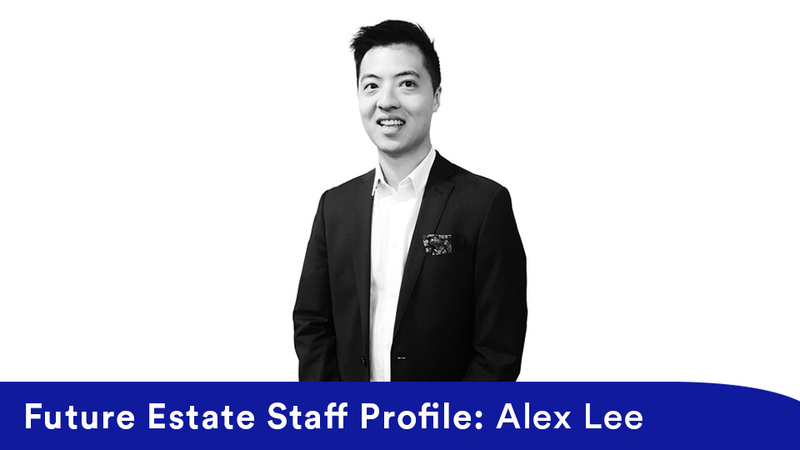 In this article, you can discover more about Alex Lee, our Capital Transactions Associate, including why he is passionate about his role and what he enjoys doing outside of work. I’m in the Capital Transactions team, so we look for new opportunities for the business, which includes a lot of different types of real estate projects ranging from residential to mixed-use and hotel opportunities. I’m responsible for undertaking financial due diligence and property feasibilities in relation to new business and assist in securing funding for future projects. My background was in Applied Finance. I have a Bachelor of Commerce and started off in real estate advisory for a global advisory firm. What I really like about it is that no day is the same, it’s always different. There are lots of different types of work and it’s exciting to be at forefront of securing and growing new business and new projects and bringing them on board to Future Estate. It’s always different depending on prioritising the urgency of each task, but my day can range from different types of meetings, to financial modelling and assessing new opportunities. I love mixing with all the teams around the business, the sales and marketing team, the project delivery team and the finance team. Apart from work, I really enjoy trying different types of food from a lot of different backgrounds. I love seafood, especially seafood marinara. When I have spare time, I also enjoy playing basketball and hanging around with friends. I played in university and high school. I just play socially now, to catch up with friends. Suits. I liked the storyline behind it, the characters and how it’s all built up. At Future Estate, we pride ourselves on hiring high-calibre talent who can bring expertise to our team. We often appoint people from the property sector, as well as other industries, for their breadth of knowledge and experience. We are dedicated to delivering exceptional residences and communities that people will love, and our staff members form an integral part of meeting those standards. If you’re interested in finding out more about Future Estate and their property developments, call (03) 9988 2900 or send us message via our contact page. As home buyers become more interested in green living and housing standards align with environmental practices, it is imperative that property developers follow suit. Future Estate prides itself on incorporating sustainability into their developments, and strives for the highest standards across everything from sourcing building materials to selecting energy-efficient appliances for their dwellings. 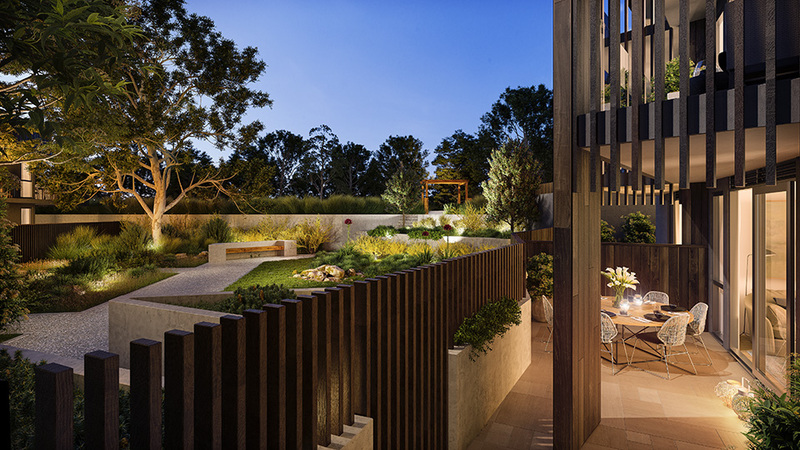 The Melbourne-based property developer adheres to environmental sustainable design initiatives and ecological sustainable development across all of their projects. The procurement of building materials also aims to be sustainable, with 50 per cent sourced locally and 50 per cent being imported. For all of Future Estate’s developments, the majority of the building materials are locally-sourced. This includes precast and poured in-situ concrete for structures, steel fabricated fire stairs, glazing for building facades, balconies and internal shower screens, laminate joinery for kitchens and bathrooms, carpet for bedrooms, and all internal and external paint and powder coating. The components that are sourced from abroad include internal and external tiles, lifts, electrical fittings, timber flooring for living areas, and aluminium cladding for facades. Future Estate’s Founder and Managing Director Ben Anderson said all materials were compliant with building surveyor, environmental, acoustic and fire regulations. “The quality of the finish of the materials we use, and their availability, will often determine where we source them from. This results in a 50/50 mix of local and imported suppliers,” he said. 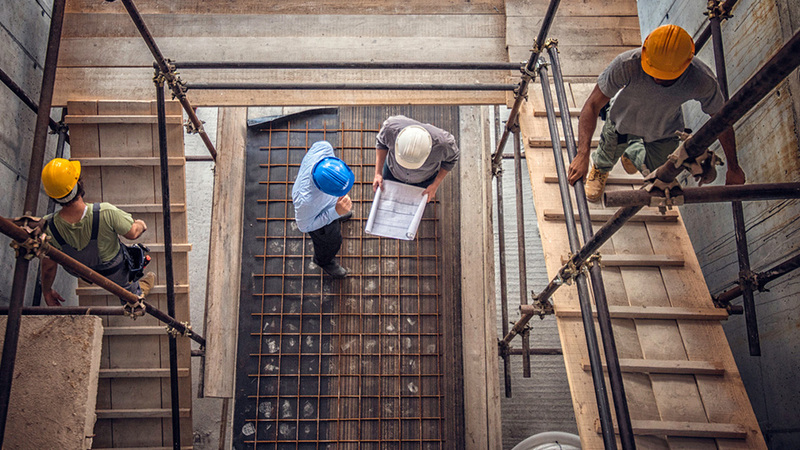 When it comes to building the developments, Future Estate’s contractors are required to provide to a waste report as part of their construction management plan provided to council prior to the beginning of construction. This is monitored by Future Estate’s engaged building surveyor to ensure that a minimum of 80% of waste on site is collected as recycling. Mr Anderson said Future Estate also endeavours to consider environmentally sustainable design initiatives and ecological design standards when planning their developments. Incorporating environmentally sustainable design ensures that the average apartment in Future Estate developments have an energy rating of at least 6 stars, as per Building Code of Australia (BCA) and Nationwide House Energy Rating Scheme (NatHERS) requirements. This means that each dwelling receives good natural ventilation, daylight design is applied to bedrooms and living areas, and water-efficient fixtures and fittings are installed. The property developments also incorporate high levels of insulation in the roof, walls and underfloor where required, and apartments are fitted with efficient reverse-cycle air conditioning systems, within one star of the best available energy rating for the relevant unit size. In addition to these factors, Future Estate works to minimise pollutants emitted to the environment, and meets and exceeds Occupational Health and Safety (OHS) standards throughout the construction of its developments. Buildings are also constructed and operated with techniques that minimise energy consumption, and make use of renewable energy through solar power and recycled water initiatives. Mr Anderson said Future Estate was committed to ensuring each of their developments were environmentally considered. “We always aim to deliver an integrated, sustainable development with strong focus on high-quality design and amenity,” he said. It’s a multi-faceted approach to property development that allows for a range of uses and provides a village-type lifestyle, and it’s called placemaking. This is a concept that Future Estate has adopted in the planning and design of their property developments, and is an approach they are passionate about. Placemaking factors in how a property development can be multi-purpose and offer residential living as well as commercial, retail and community facilities. Ben Anderson, Founder and Managing Director of Future Estate, said placemaking has a strong focus on amenity and is key to making residential properties within a development appealing to live in. “It’s about creating liveable suburbs where key facilities can be accessed within the same community of a resident’s home,” he said. According to the Harvard School of Design, placemaking or ‘mixed-use’ is defined as three uses in one building, where no one component makes up more than 60 per cent of an entire development. This leaves 40 per cent for other purposes such as combinations of residential, hotels, offices, retail, commercial and open space. It’s a concept that is fairly new to Australia, but one that has been adopted by countries such as the United States as more people move into the cities and urban communities expand. 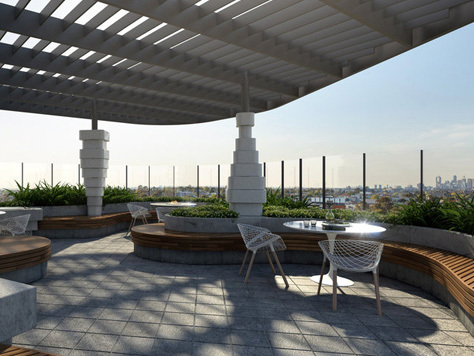 Future Estate is leading the way with placemaking and their property developments (Parc Vue in Bundoora and Coburg Quarter in Coburg) herald a new way of living. When thinking about how property developments can be built for multi-use purposes, Mr Anderson said it’s about “creating a destination” as much as taking a holistic approach to creating a community. “Coburg Quarter, for instance, will incorporate everyday conveniences and shopping needs that make the environment easier to live in. We’ve got the residences, of course, but the precinct will include cafes, restaurants, galleries, co-working spaces and streetscapes. “We’ll create mini high streets with a public square surrounded by a mix of retail and services – this will become the focal community point of Coburg. “These aspects not only make living in Coburg Quarter attractive, but also gives visitors a reason to come to the area. It becomes a destination in itself. 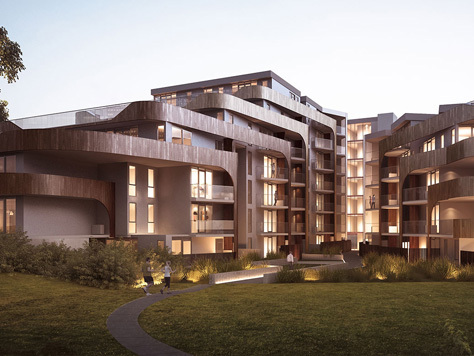 Parc Vue in Bundoora will include residential living with restaurant and cafe offerings, and a function space. A swimming pool, gym and convenience operators are all proposed for the site too. Parc Vue will also offer a hotel – ideal for visitors to Melbourne who want to be conveniently located to nearby universities La Trobe and RMIT. Uniquely, residents of Parc Vue properties will be able to access hotel services such as dry cleaning and room service – a perk of living in a mixed-use precinct. “We’re creating environments that blend hotel/serviced apartments with residential – that is not something that has been done very much in Australia. At Parc Vue, our residents will be able to access a range of tailored services, of a 5-star concierge-style living,” Mr Anderson said. When planning and building communities from a placemaking perspective, Future Estate has considered the current circumstances and the future needs of an area. Many of the decisions around what should and should not be included in a precinct have been informed by thorough research. The research predicts the future needs of a community so that Future Estate can build an environment to cater to those requirements, Mr Anderson said. “It is data-driven. 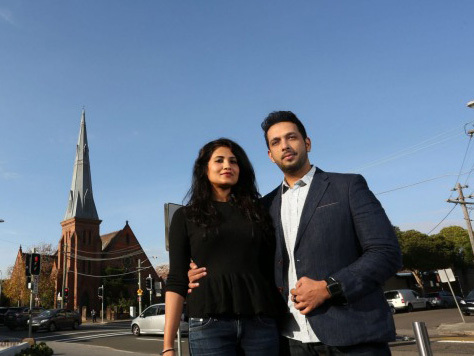 In relation to Coburg Quarter, it’s a young, educated demographic of diverse cultural backgrounds. We look at their fundamental needs – what they need now and into the future. “The demographic in the area has really evolved over the years. For example, Coburg has become an area that attracts many young families so there is a demand for childcare services in Coburg. For Parc Vue in Bundoora, it’s about filling in the gaps. With a shopping centre already located near the property development, the retail and commercial offering at Parc Vue will complement rather than compete with existing services in the area. It was the perfect balmy April night and once again our Parc Vue rooftop was put to great use. 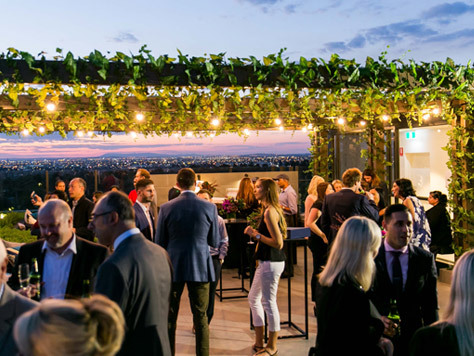 With breathtaking city views and parklands, our purchasers joined Future Estate to celebrate the completion of Parc Vue and they enjoyed an evening filled with live music, delicious food and sunset views from the highest point in Bundoora. Now that our first Parc Vue residents have settled into their new homes, we were over the moon to hear only great feedback on the quality of their apartments. As a small gesture, we reciprocated their support by throwing a party to say thank you. 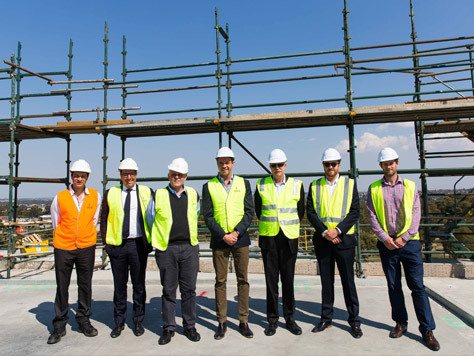 We have reached another milestone with our Parc Vue Project, this time with Botanic when we celebrated our Topping Out Event on Wednesday, 5th April 2017. Currently a few weeks’ ahead of schedule, purchasers can expect to move in just before the end of 2017. We treated the entire team to Melbourne’s best food trucks and coffee with Ben Anderson handing out a Thank You gift to all the construction workers on site. This wouldn’t have been possible without Verve Constructions, MAP Design and Architecture and the Project Team for their great work and commitment. 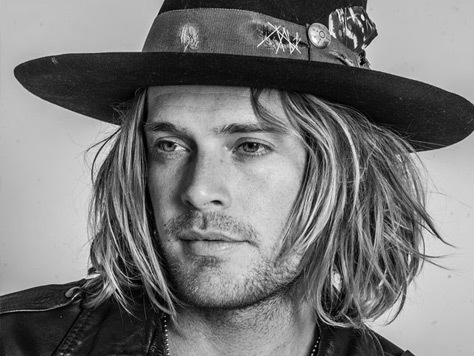 Nick Fouquet (it rhymes with "bouquet") has very straight, very white teeth. He's striking for lots of other reasons, too (tall, strapping, tanned, very "put together") but it's the teeth you notice most when talking to him, raising questions (have they been filed? how often does he brush?) and shining like gleaming pearls. 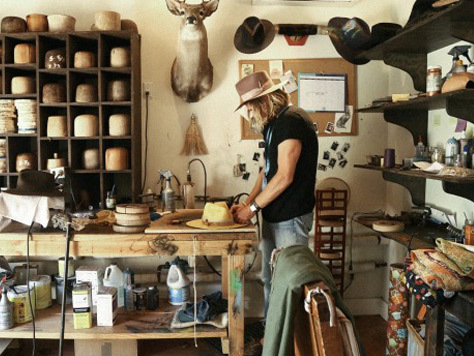 Milliner Nick Fouquet crafts one-of-a-kind chapeaus for everyone from Bob Dylan, Pharrell, Justin Bieber, Madonna, David Beckham and Anna De La Russo, to his artist/surfer friends. Hats can be an intimidating proposition for men, particularly when the Paris runway shows tell us the next big colour is dusty pink. But this Melbourne Cup Carnival season might just be the time for Australian men to turn their attention to what's on top. 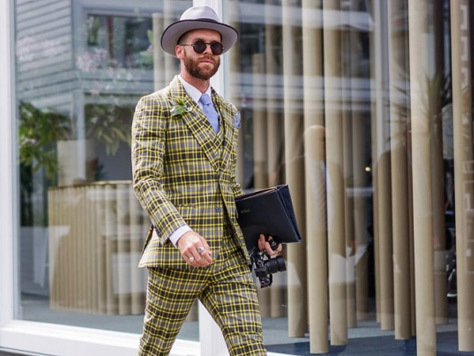 Some scattered showers around the big race didn't rain on the fashion parade at the Melbourne Cup, which saw 97,479 punters at Flemington in contrasting states of style. 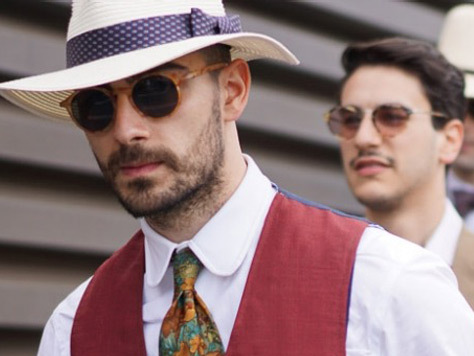 Plenty of stylish men put on a stellar show, with blue and grey three-piece suits, brown brogues and carefully selected pocket squares among the big trends of the day. Eye colour. Skin tone. Straw or felt? Shrinkage. 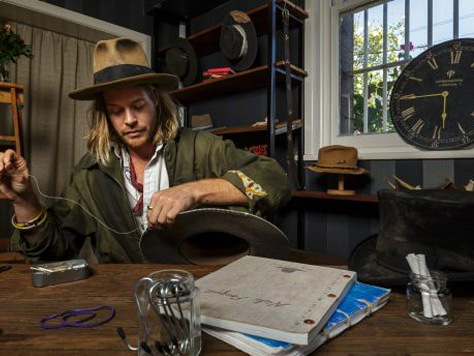 There's a lot to think about when selecting a hat that'll have you cutting a sartorial swathe through Melbourne's spring racing carnival. 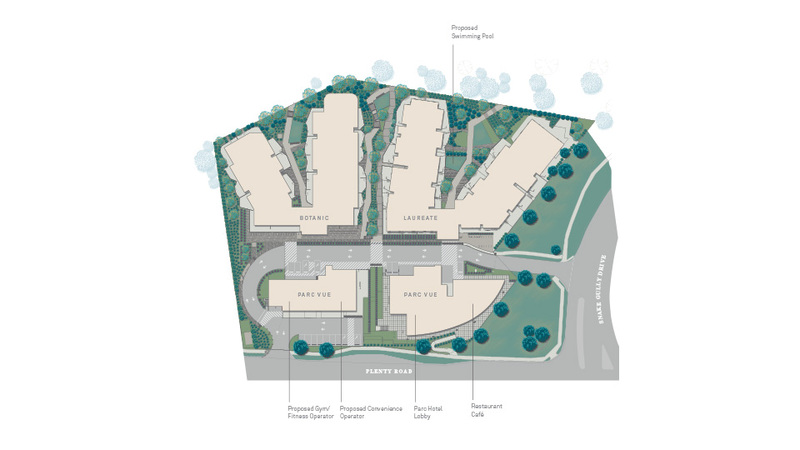 Actor Brett Climo is moving from a block of 40 apartments into a development of just eight townhouses. 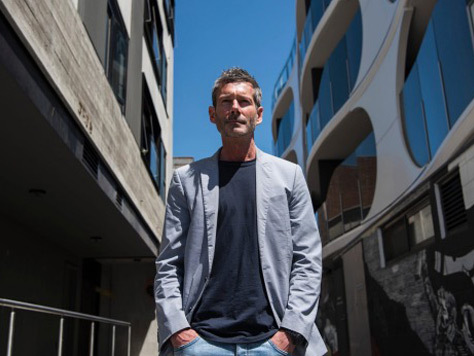 Climo, best known to TV soapie audiences for his roles in A Country Practice, The Flying Doctors and, currently, A Place to Call Home, has just purchased a five-level townhouse in a development planned for Melbourne's inner-ring suburb of Fitzroy. The Urban Developer spoke with Founder & Managing Director Ben Anderson to see what’s on the cards for Future Estate. 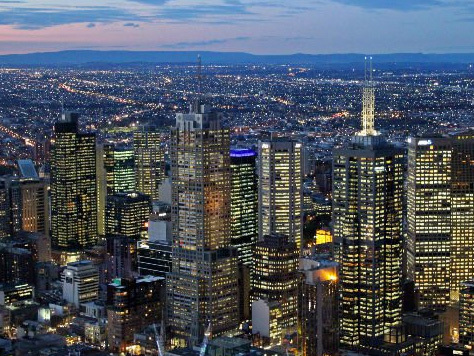 Melbourne property developers and agents are celebrating a massive 30 per cent jump in inquiries from Sydneysiders eager to purchase in the southern capital. 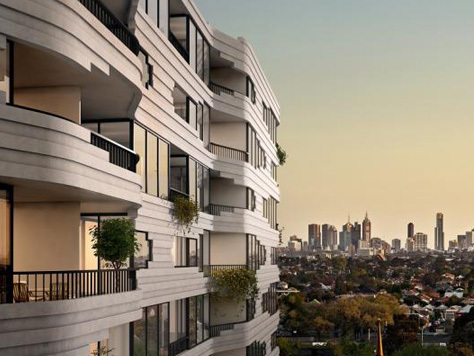 Committed to the respectful integration of the site’s unique history, Future Estate says its first residential offering, One Coburg Quarter has been designed to encompass just eight levels in order to blend in with the surrounding urban fabric. 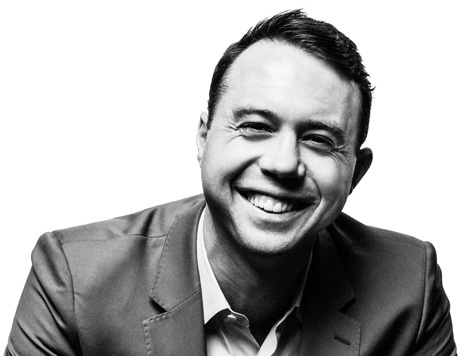 Ben Anderson, Founder & Managing Director of the Future Estate Group, notes that these the changes could have serious consequences for Melbourne given the importance of the property sector to the state economy as well as increasing competition from other major cities for international development capital. 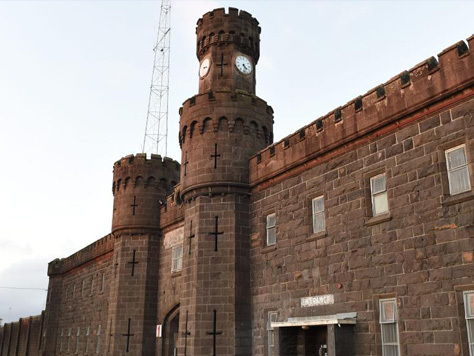 Signifying the rebirth of one of Melbourne’s most expansive regeneration sites, developer is pressing ahead with plans for the former Pentridge Prison, soon to be known as Coburg Quarter. 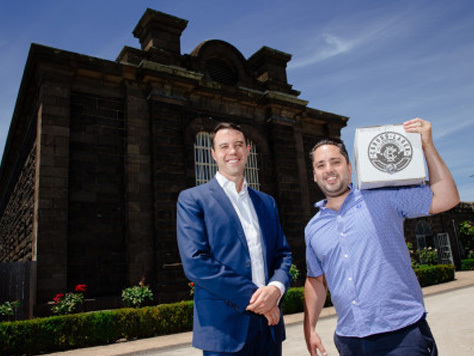 Danial Caneva, owner of Coburg’s trendy Post Office Hotel, will open a new bar and brewery at Pentridge Prison, converting a heritage-listed laundry into the hub of a new laneway precinct. 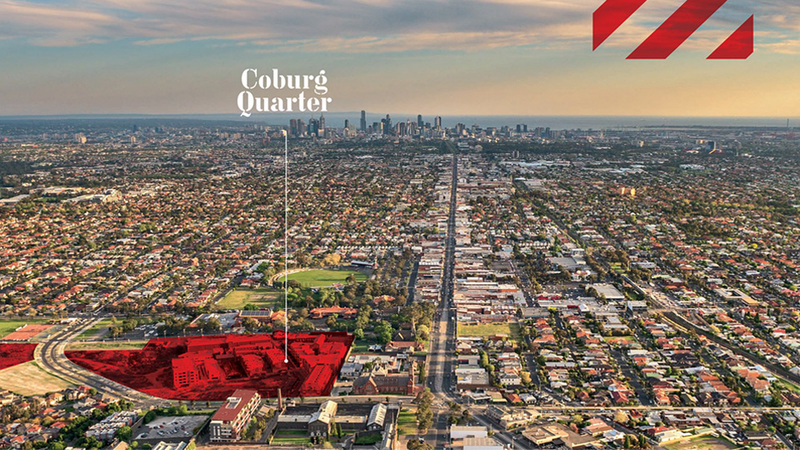 Future Estate Founder & Managing Director Ben Anderson, whose company is developing the Coburg Quarter, said Planning Minister Richard Wynne’s approval of the Coburg Structure Plan signalled an exciting time for the suburb. Investorist sits down with Future Estate, the Australian property development group committed to delivering genuine value for all stakeholders – the community, residents, financial stakeholders – to enhance the communities in which we all share.